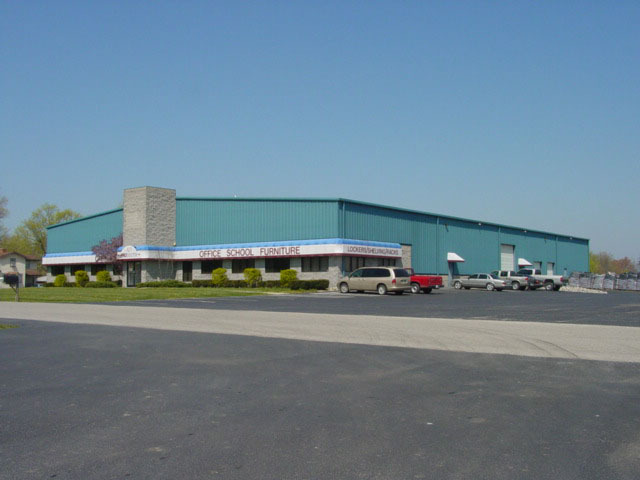 The Industrial properties offered by Ballew Enterprises are located primarily in the cluster of the three river cities of New Albany, Jeffersonville, and Clarksville and in the nearby town of Sellersburg. Strategically acquired in an area boasting record growth, our locations enjoy the many benefits of our Southern Indiana location. Southern Indiana has increasingly offered the added enticement of tax incentives for businesses choosing this area. Jesse Ballew Enterprises will be happy to provide you with more information concerning taxes, utilities, government services, medical care, housing and other local specifics that we will be happy to share with you upon request. Sellersburg Industrial Park is a 140 acre site strategically located on Highway 31 in Southern Indiana only minutes from downtown Louisville, KY. This park is only one mile from I-65, two miles from I-265, seven miles from I-64 and eight miles from I-71. Prime building sites are available beginning with a minimum of one acre. Formerly a farm, the local governing authority has designated this an economic revitalization area and is offering a ten (10) year prorated tax deduction on Redevelopment or Rehabilitation of Real Property Improvement and also a five (5) year prorated tax deduction on New Manufacturing Equipment. Designed to meet the needs of today's business this park has all underground utilities in place and is ready for you to build that state of the art facility you've always wanted. Louisville, Kentucky, the main city in the metropolitan area of over 1.2 million is directly across the Ohio River. Distances to some nearby major cities: Lexington, 70 miles; Cincinnati, 105 miles; Indianapolis, 110 miles; Nashville, 180 miles; St. Louis, 250 miles and Chicago, 290 miles. Highways: Access to Interstate Highways 64, 65, 71, 264 and 265; also State Highways 62, 64, 111, 311 and U.S. 150. Rail: Norfolk Southern, Soo Line, Louisville & Indiana Railroad, Southern Indiana Railroad, CSX and Conrail Railroads. Truck: Twenty motor freight lines use one local terminal; more than 100 other carriers are served by terminals in the Louisville Metro area. Air: Louisville International Airport provides 20 national commercial/passenger airline services, and UPS's major hub being located in Louisville. Clark County Regional Airport and Bowman Field are two other regional Airports in the area. Barge: Six barge lines, including American Commercial Barge Lines and Terminal at Jeffersonville; Clark Maritime Center, an inland port on the Ohio River, offers a complete intermodal transportation system.